When I was pastoring a Presbyterian church in Los Angeles some years ago I came across a lady called Alice. Alice was a woman in her fifties who had had enough bad news. The thing that made Alice unique though, was that the way she coped with the bad news in her life was through denial. She read no newspapers, no current affair magazines and watched no TV news. For all she knew, the Czar was still in power in Russia. She lived inside a protective cocoon woven out of her fears, and I think we understand how she felt. A few of us may even be tempted to start up our own cocoon. The neighbourhood takes up the chant and it becomes a kind of secular mantra chanted across colonies of concrete. It is a futile attempt to shout away reality. Sometimes we feel in life a bit like some of the rides at the Adelaide Show. Like on the Mad Mouse where we have no control over anything, and we just hang on as the car twists, dives and turns. Or like bumper cars. We are just travelling along fine when some other car rams us, to the glee of the driver. But there is another way other than trying to escape from reality, even if we understand feeling that way sometimes, and that is the Christian way. The Christian way knows there is a bully down the side-street, and knows he has to be confronted from time to time. But there is more to life than avoiding the side-street, and that way is the Good News way. It is the way that Paul brought to the people of Lystra in Acts 14. His speech tells us what we too have to offer as Good News people, to a world wearied by bad news. It is not about giving up, but overcoming. In this chapter, Paul has come across a group of people who are raw, undiluted pagans. The people of Lystra, or as Randy, a friend of mine calls them ‘The Lysterines’, were people who were inspired to worship Paul and Barnabus after witnessing a miracle. A local legend had it that the Greek gods Zeus and Hermes had once visited Lystra and being unrecognized by all but an old couple, they obliterated the population. You can understand why the Lystrans didn’t want to miss out this time! So the apostles, puzzled by the bulls and bouquets suddenly realized that they, and not the God of Miracles were being worshipped. Paul’s frantic response in verse 15 to the idolaters takes three forms, as he tells them of a better way to live – a Good News way of living every day. His first point is to say, ‘We are also men of like nature to you’ and so he demonstrates to us one way to communicate the Good News. Is not one of the most important things we can do in talking with non-Christians to remind them that we are also human? That Christians have sleepless nights too; that we look at our bank accounts in disbelief sometimes; that we get concerned with lumps in our legs and jobs for our kids. That we too are human. Now that’s right, I know that, God’s will is of ultimate importance, but God works through our humanity as well, including our own likes, gifts and preferences. Great, but God has made us to be those who are free to enjoy football, or cake decorating, painting or music. Being a Christian does not crush our humanity, it enhances it. It frees us to enjoy God, his world and other people in a way that we couldn’t before we had faith. That is the Good News of Easter: Christ frees us. He doesn’t freeze us. Let us share our humanity and our faith with others and not pretend that the human is not mixed up with the divine. 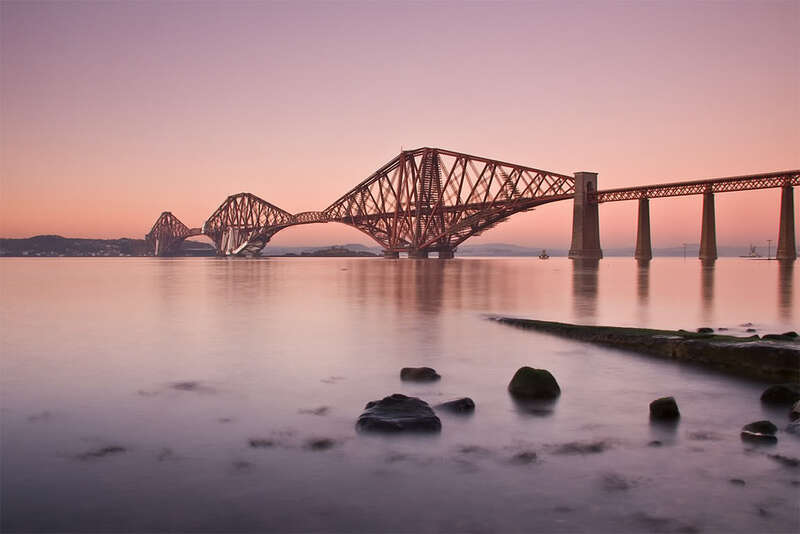 Our humanity is a bridge. God can cross into the lives of others with his Good News. ‘We are here to bring you Good News.’ The Good News is what God did that we never wanted or expected. He sent his son to begin a new era of relationship with Him, through His Cross and Resurrection. ‘God was in Christ, reconciling the world to himself’, not remembering our sins and he has given us the message which tells how he makes people his friends (2 Corinthians 5:19). Not only does that message affect our present and eternal destiny, but it gives us two Good News qualities sadly lacking today. One is the message of hope. Now hope is not the same as optimism. Someone wrote that a good business manager hires optimists for salesmen and pessimists for the credit department. Christian hope is different. It is not a hunch that things will improve, rather it is a certainty that God is in charge when humans seem to be calling the shots and firing them. Hope is what happened on Easter Sunday after the Cross was humanity’s verdict upon God’s work among us. Hope is the confidence Christians have in the future because of what God has done in the past. He has created this world and then shown his love for it by redeeming it in Christ. So then, Christian hope lives beyond headlines, hijackings, hit-men and health concerns. It thrives on the certainty of a God who loves people, and in the face of the worst humankind can do, still loves. The second great blessing Christians can fins in Christ’s saving life is joy. Joy is not happiness, which depends upon externals like finding the car keys or going shopping. 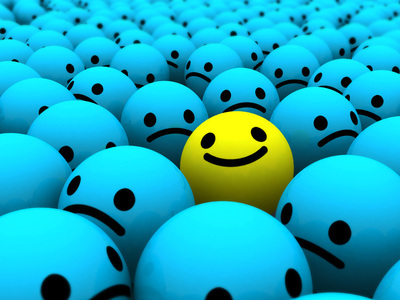 Joy is an attitude arising from faith in Christ, once again. It is a contagious and inspiring product of a life lived with God. A glorious God who has written the last victorious chapter while we are struggling with the plot. Joy holds hands with hope and dances while heads are dropped in sadness and bewilderment. It doesn’t ignore tragedy, but looks beyond it and sees God’s ‘nevertheless’ pronounced over it. It’s like a group of prospectors who set out from Bannock, Montana in search of gold. They went through many hardships and several of their little company died en route. Finally, they were overtaken by Indians who took their good horses, leaving them with only a few limping ponies, and then threatened them by telling them to get back to Bannock and to stay there or else. So the down-hearted prospectors sought their way back to the city. One morning as they tethered out the limping ponies on a creek side, one of the men casually picked up a little stone from the creek bed. He called to his mate for a hammer and upon cracking the rock, said ‘it looks as though there may be gold here.’ After a little more panning, they said to each other, ‘We have struck it.’ They made their way back to Bannock and vowed not to breathe a word about this gold strike to anyone. Each of them carefully kept their word. They secretively set about re-equipping themselves with supplies for another prospecting trip, but when they got ready to return, three hundred men followed them. If you have been enamored with him who gives joy and hope, we should be unable to conceal the treasure. Our lives, if not our beaming faces should betray the secret. Third, Paul calls on the Lystrans to make some changes. Paul would, on the basis of this verse alone, be unlikely today to find a position in a comparative religion department of some university, not would he be an enthusiastic supporter of inter-faith dialogue. Today he would speak similarly. Today he would say to naturalists: the forces of creation are secondary, not primary, not goals but utilities. To hedonists he would say pleasure is a gift of God, but not a God. To Marxists, the material is important, but the spiritual more so. To atheists, it is through faith you understand and not the other way around. To the agnostic, there is knowledge of God, come with me to Golgotha, because from there you can see heaven. And what would he say about TV shows? Though he is a Good News person, I get the feeling Paul might be an uncomfortable man to have around today because the Good News confronts the bad news with its errors, deceptions and misunderstandings. That is a part of the deal too. Well, Paul can’t be here to say it today, but you are, and you can. You can take the Good News to your neighbours and relatives, who are fast losing hope in human solutions, ingenuity and technology. The human spirit is parched, lifeless and dehydrated for lack of the water of life. 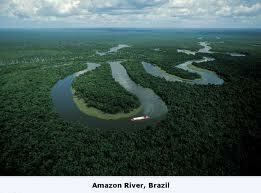 The Amazon River is the largest river in the world. The mouth is 150 kilometers across. There is enough water to exceed the combined flow of the Yangtze, Mississippi and Nile Rivers. So much water comes from the Amazon that they can detect its currents 200 miles out in the Atlantic Ocean. God, the fountain of living water is right here in the midst of our human realities; the human thirst for meaning and hope. Reality is often frightening, like it was for Alice, but escape is not the answer, nor is denial. Rather, as Good News people, it is engagement with God’s grace and healing. Your task is to now bless others. Bless the thirsty around you, the Lystrans you know. Share the deep and living water of God’s life that you have received yourselves as Good News people.